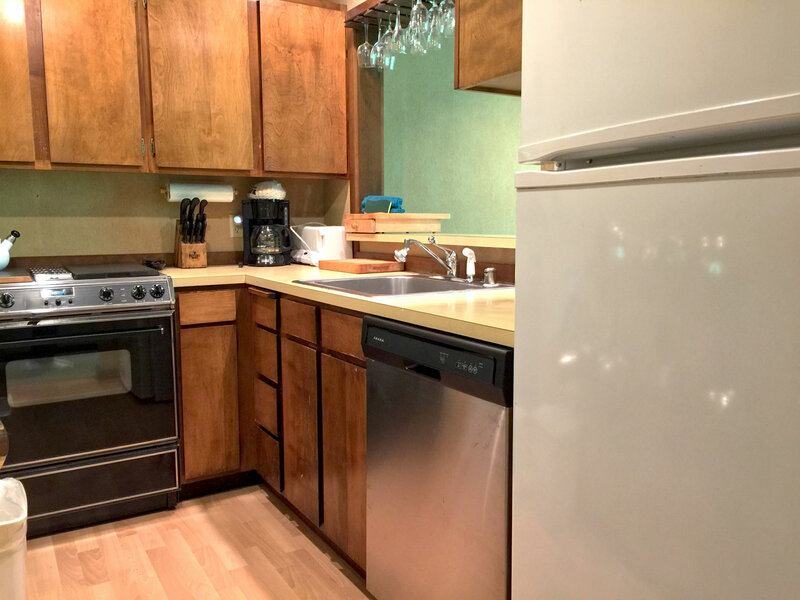 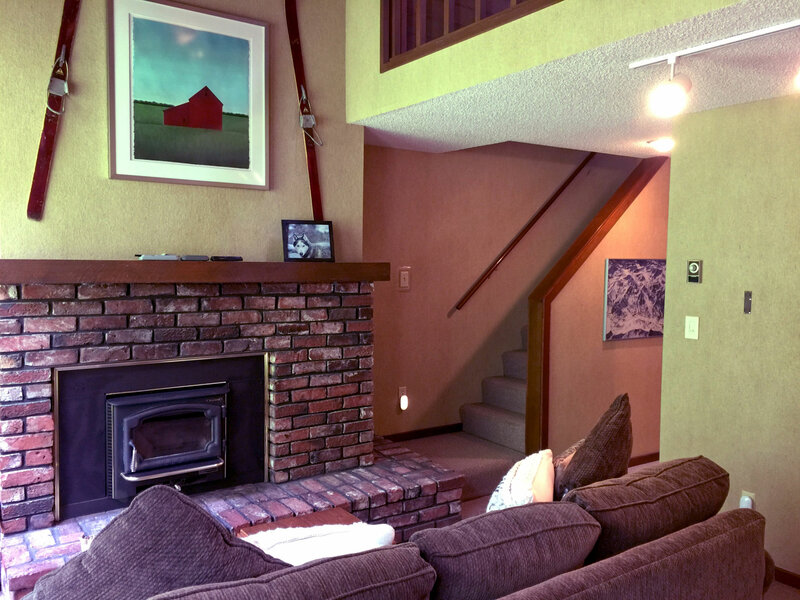 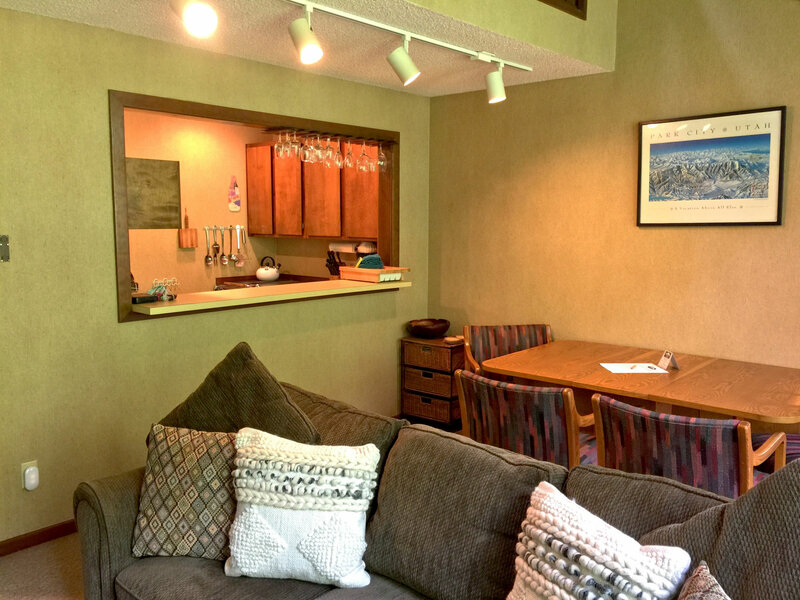 Your family will have a great time in this 2-story, 2-bedroom, 1 ¾-bath townhouse style condo. 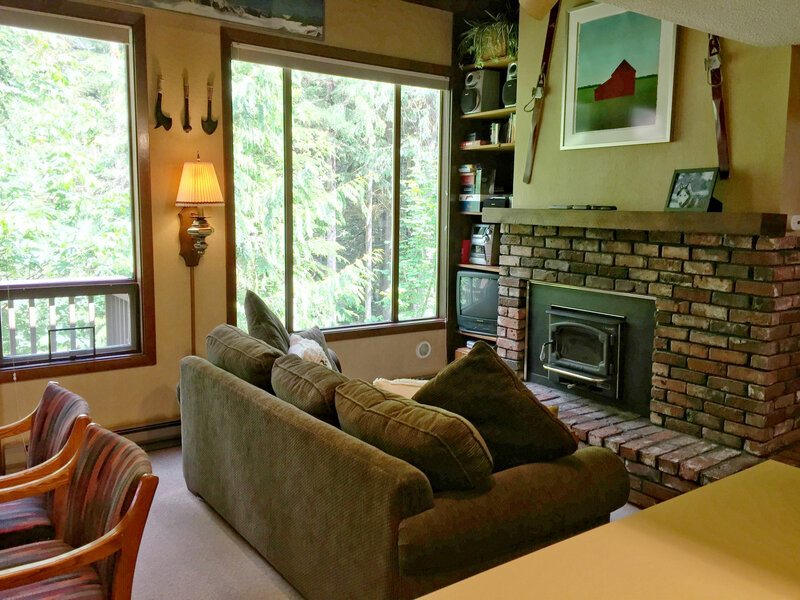 The main floor features a galley style kitchen, an ample size living/dining area equipped with a hide-a-bed, a Lopi fireplace surrounded by a brick enclosure (firewood NOT provided), a walk-out balcony where you can hear the Nooksack River running by, plus one bedroom with two twin beds, and a cedar lined ¾-bath. 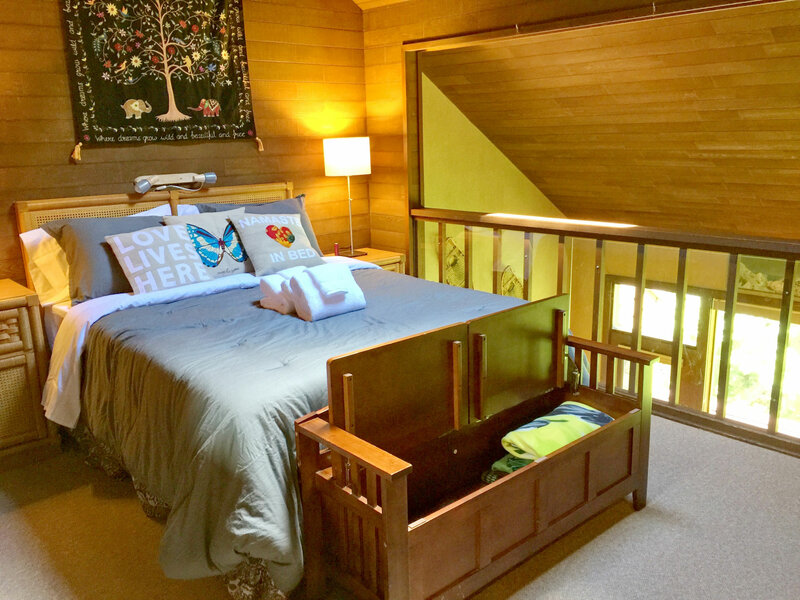 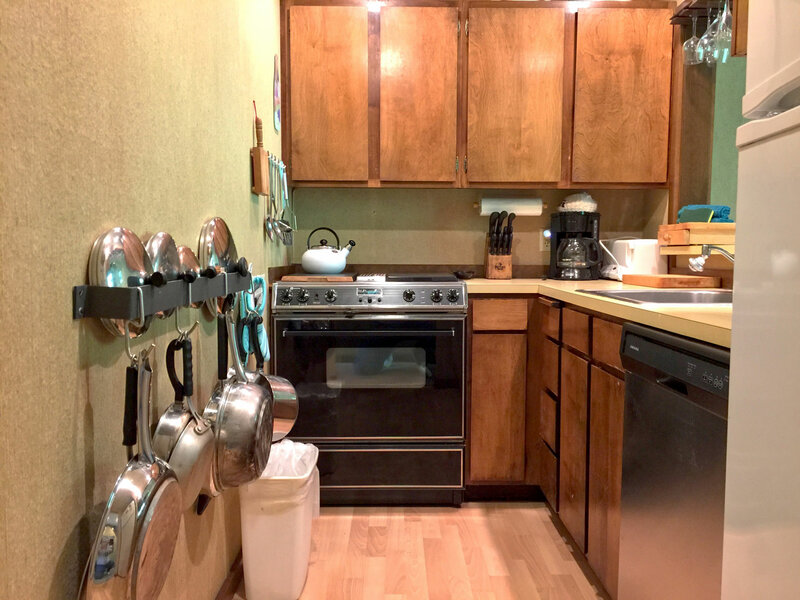 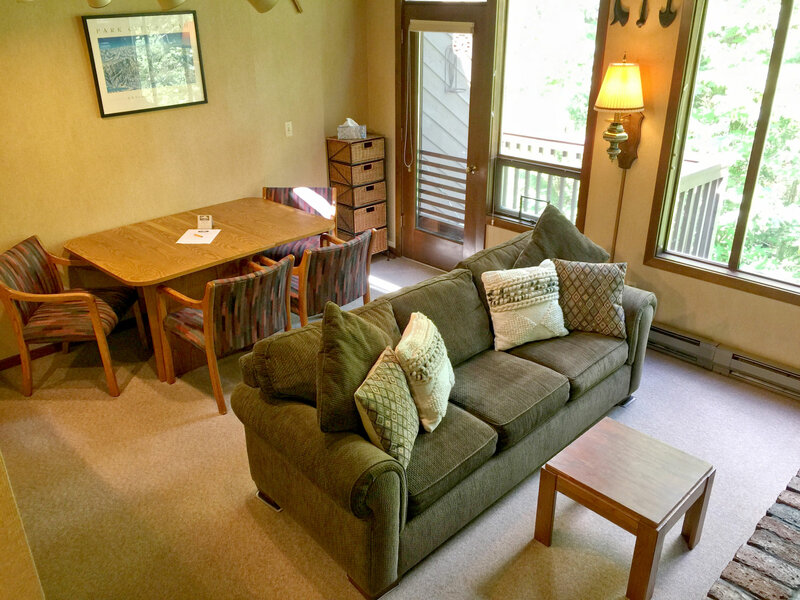 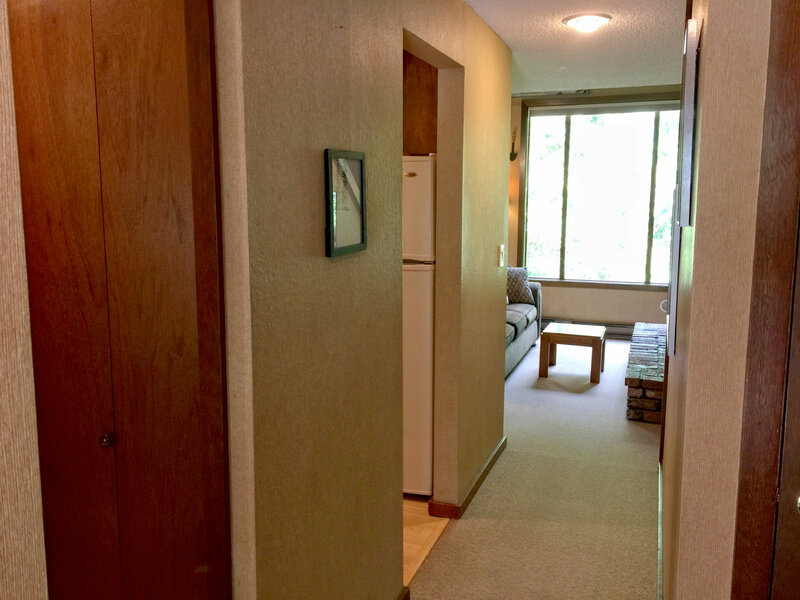 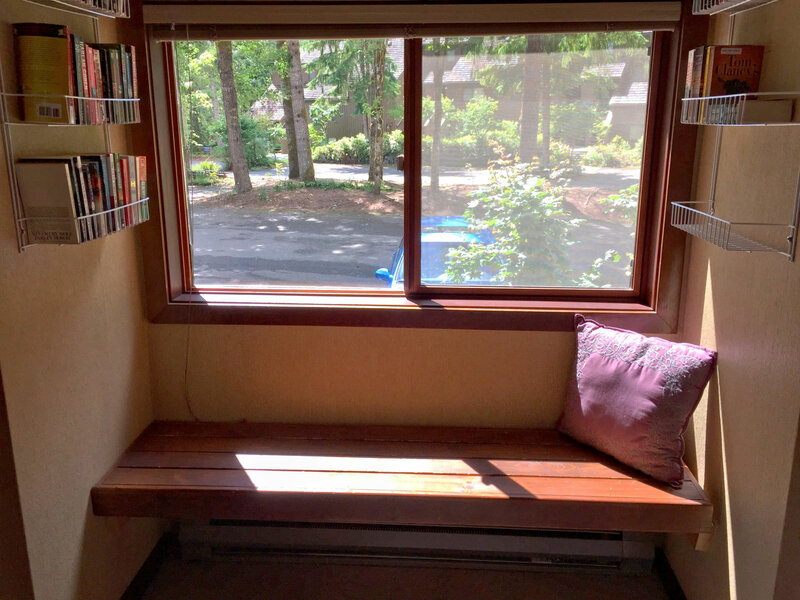 Ascending the staircase to the top floor brings you to a wood lined loft bedroom reminiscent of a cabin with one queen sized bed, plus a laundry cubby with a stack washer/dryer, and one full bath. 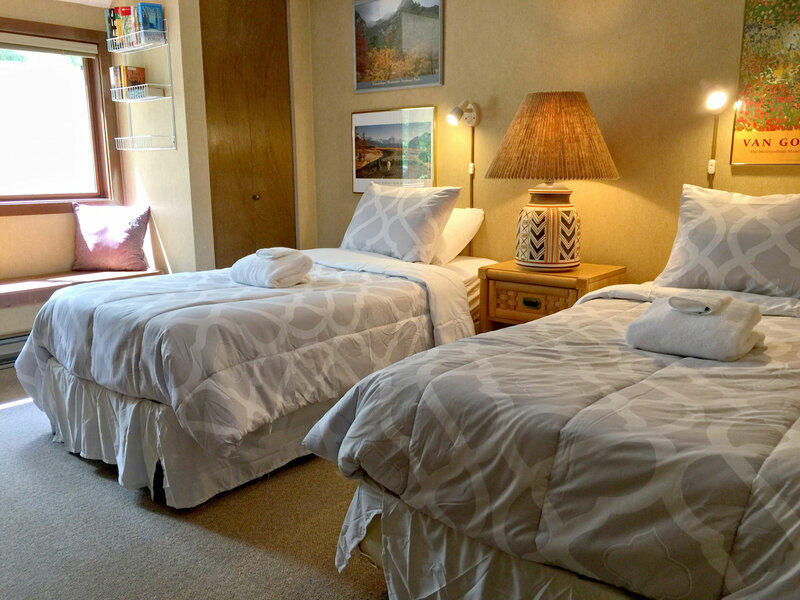 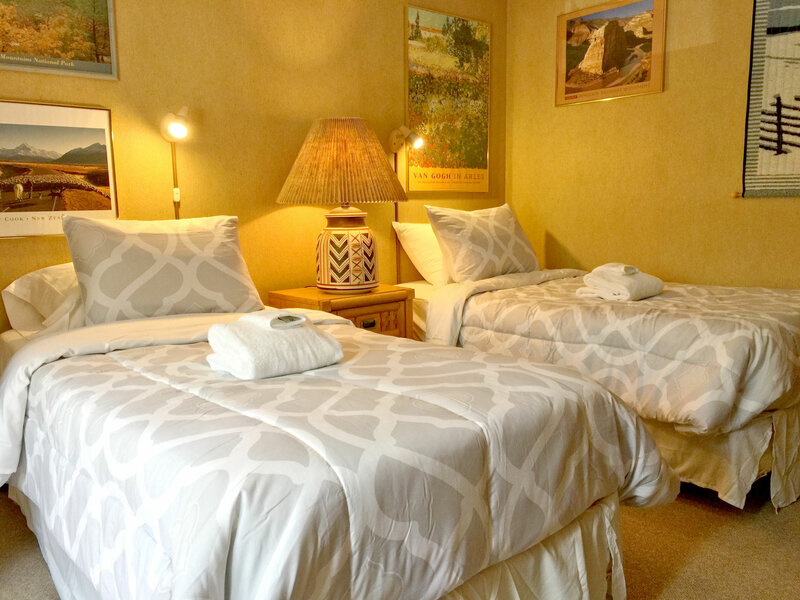 This tastefully decorated and wifi equipped family vacation property will sleep 4 to 6-persons (ENFORCED Maximum Occupancy).